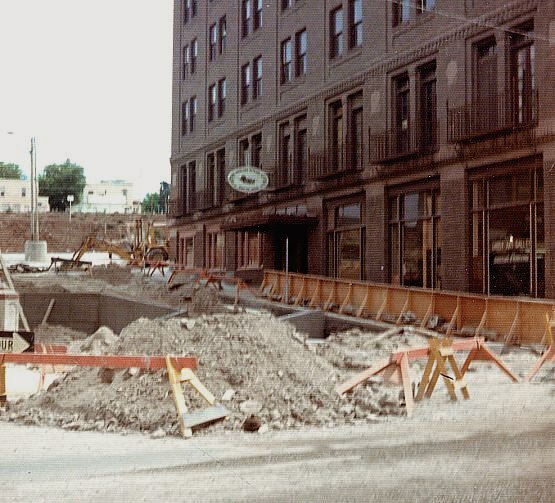 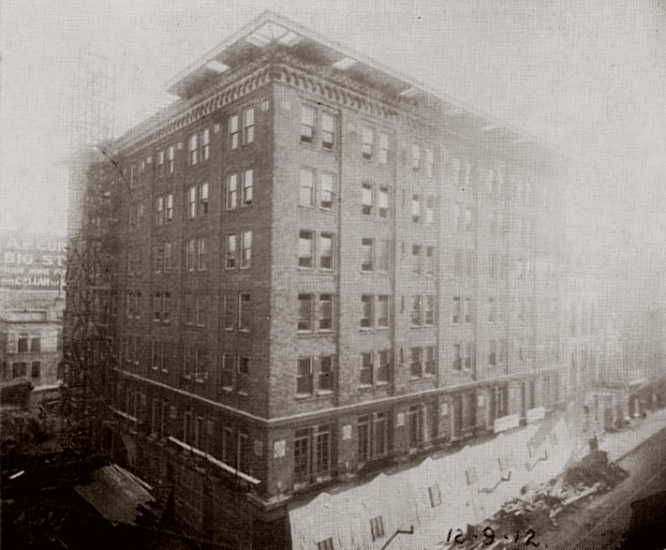 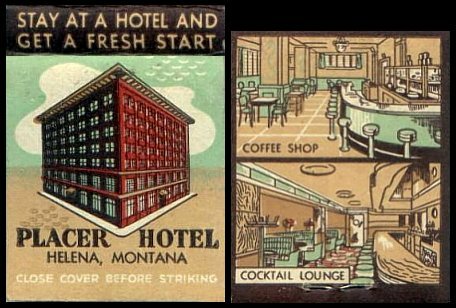 The Placer Hotel (aka "Hotel Placer"), southeast corner of Last Chance Gulch and Grand St. 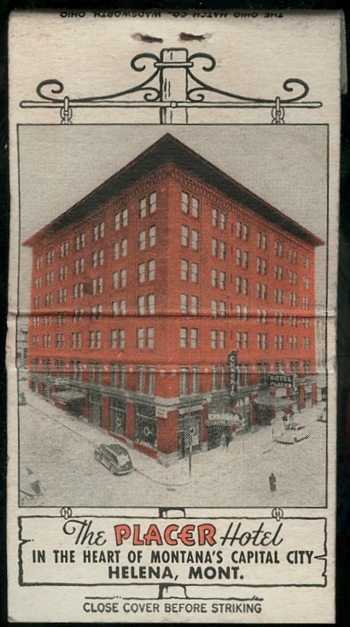 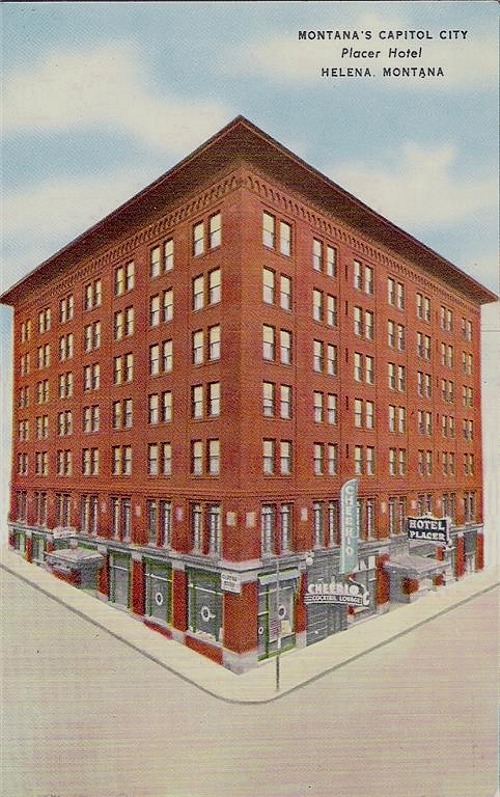 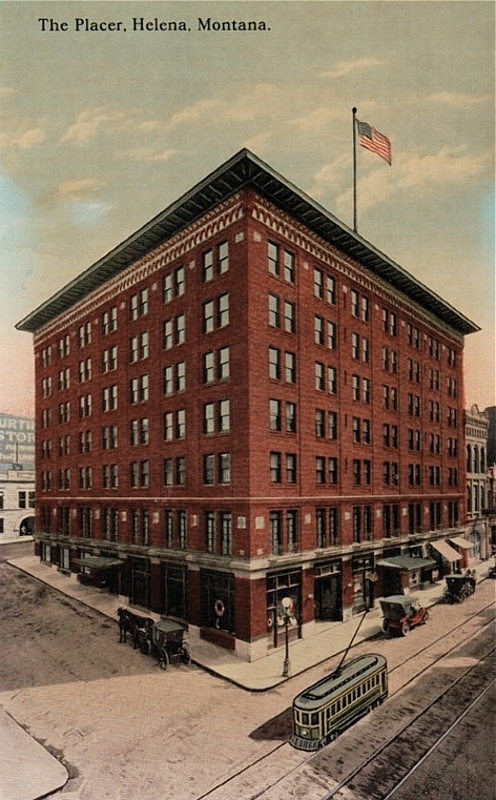 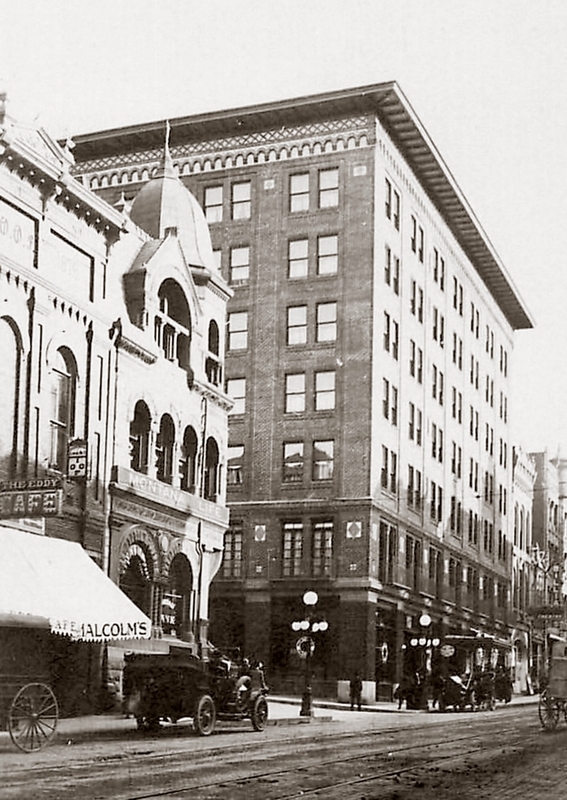 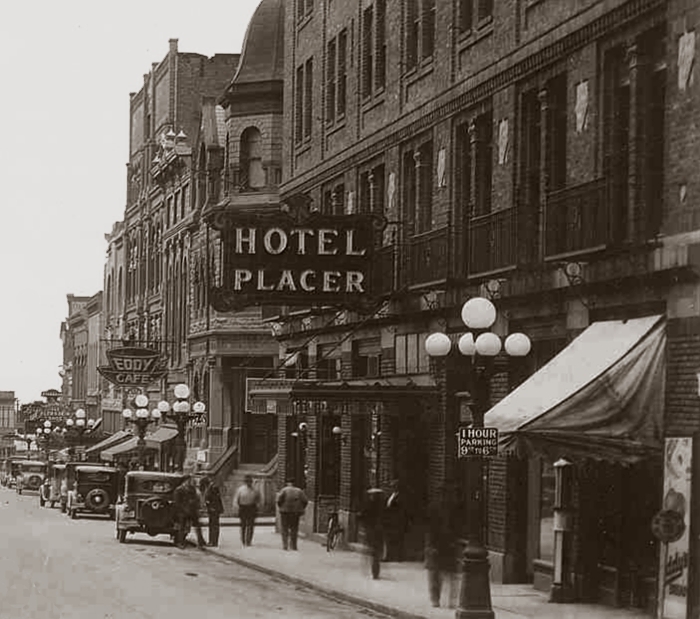 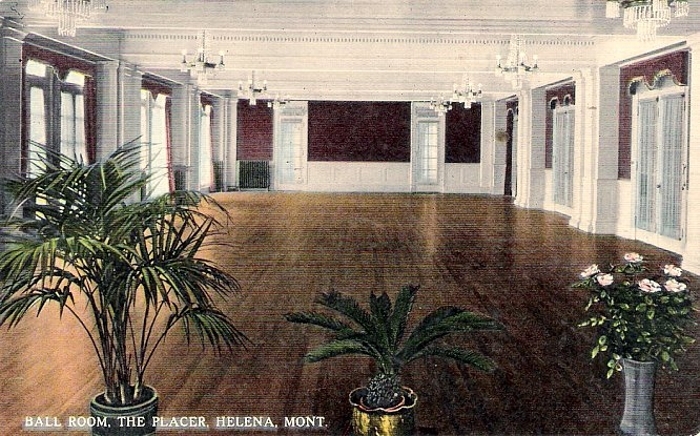 Completed in 1913, the Placer was for many years Helena's finest hotel; it has now been converted to condominiums. 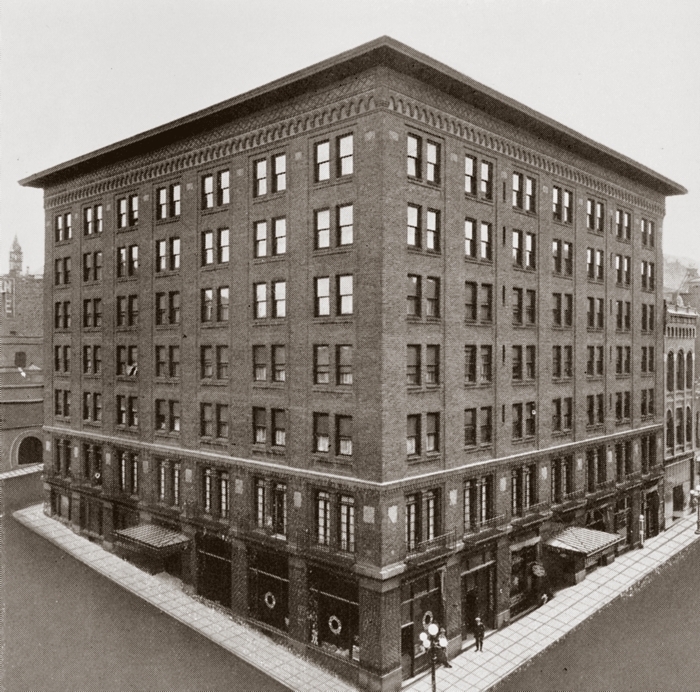 The building was designed by George H. Carsley in association with Cass Gilbert. 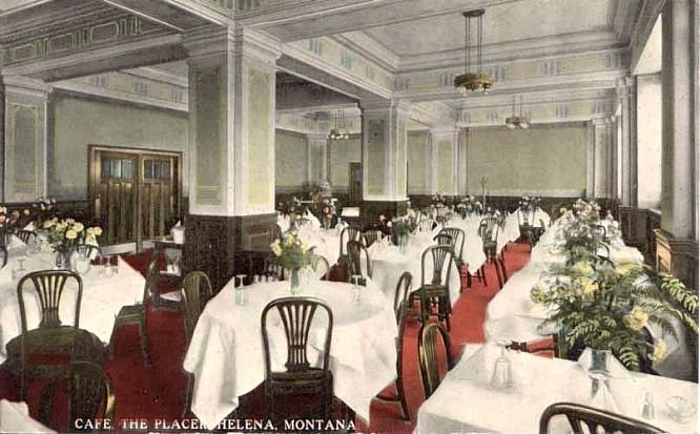 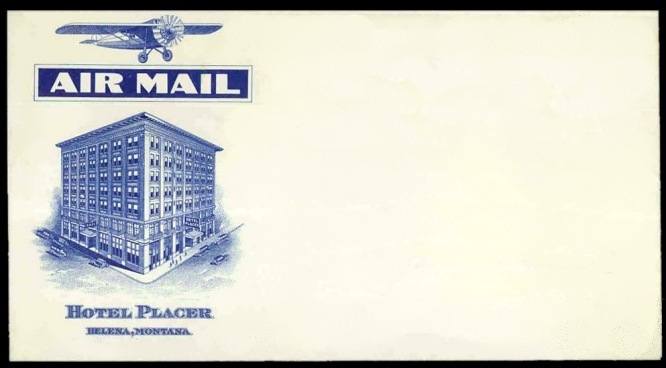 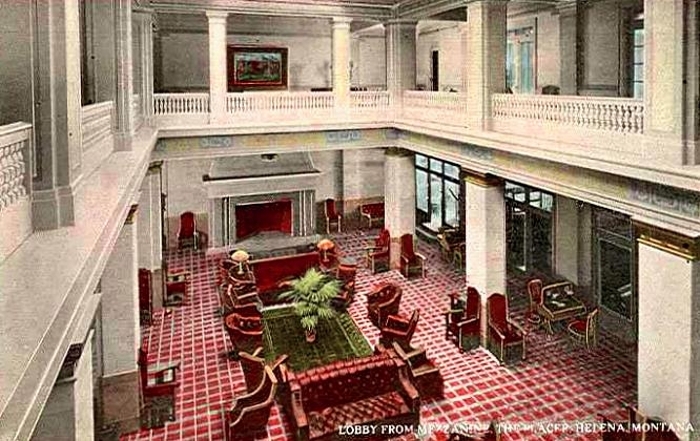 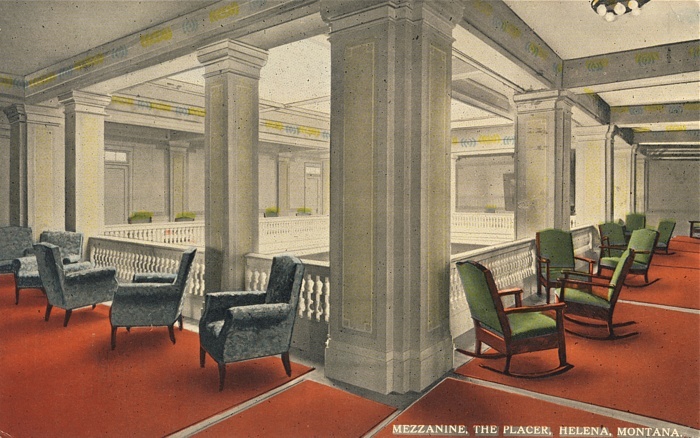 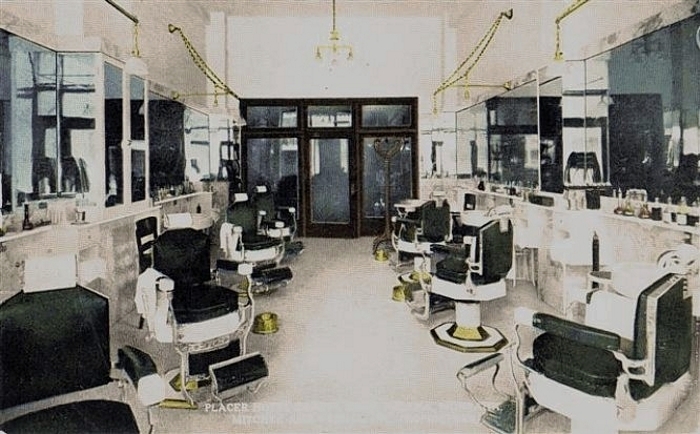 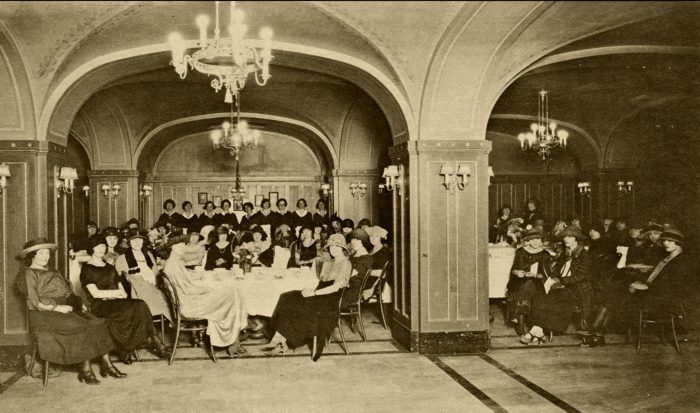 As an unofficial headquarters for Montana legislators and lobbyists, the Placer was the scene of much political intrigue over the decades. 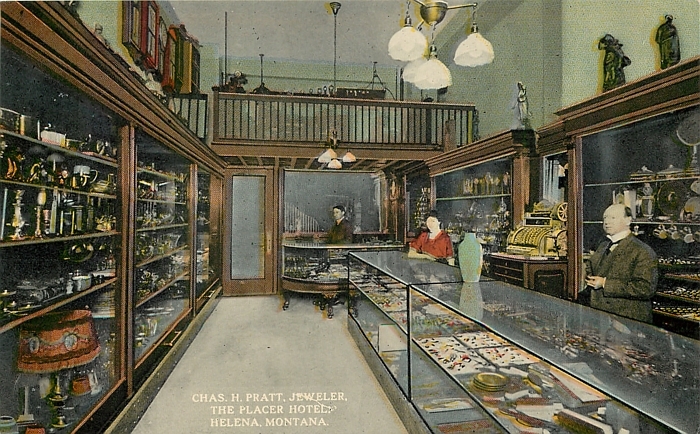 Numerous celebrities called the Placer home during their visits to Helena. 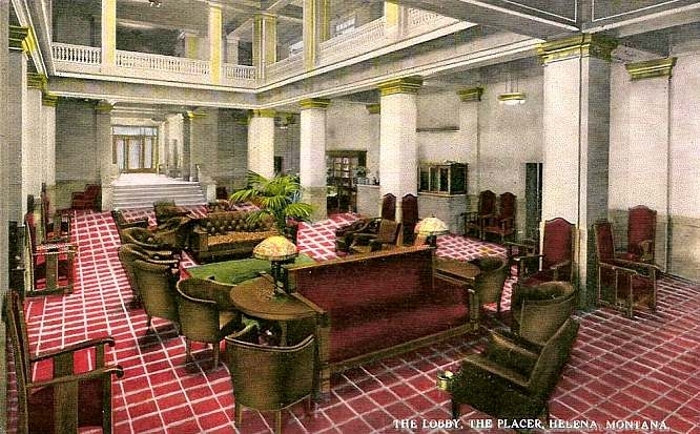 Note the stylish and welcoming Cheerio Lounge sign. 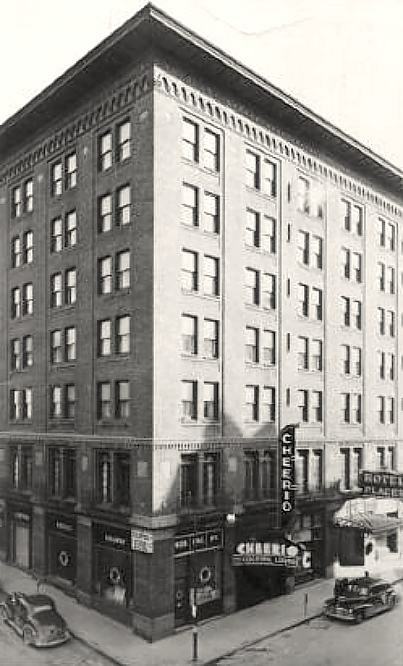 Presidential candidate John F. Kennedy stayed overnight at the Placer Hotel in June of 1960. 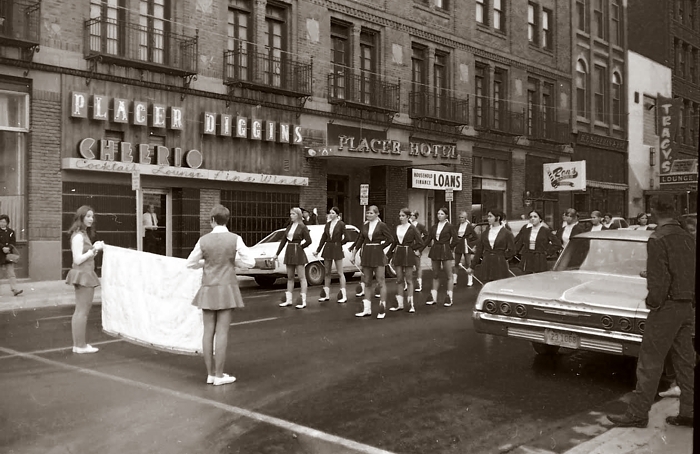 Accompanying him on the trip were Ted Kennedy and Sargent Shriver. 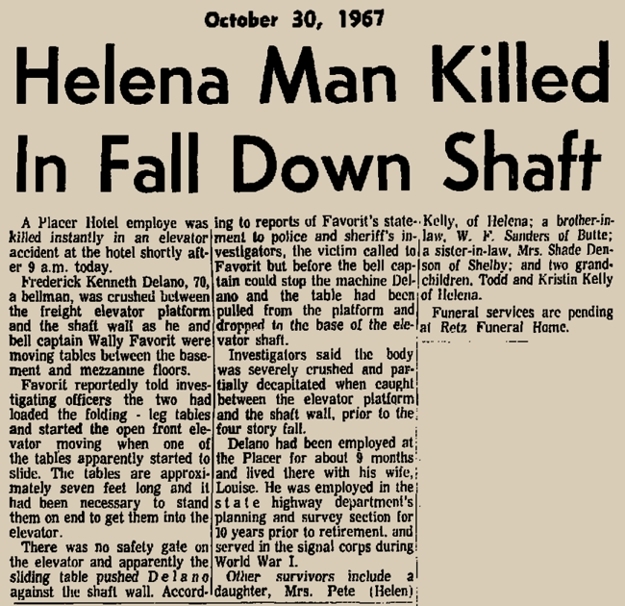 Delano was 70 years old, and his co-worker Walter Favorit was 59 at the time of this accident. 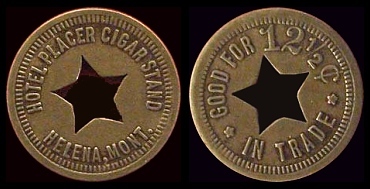 Favorit died in South Dakota in 1987. 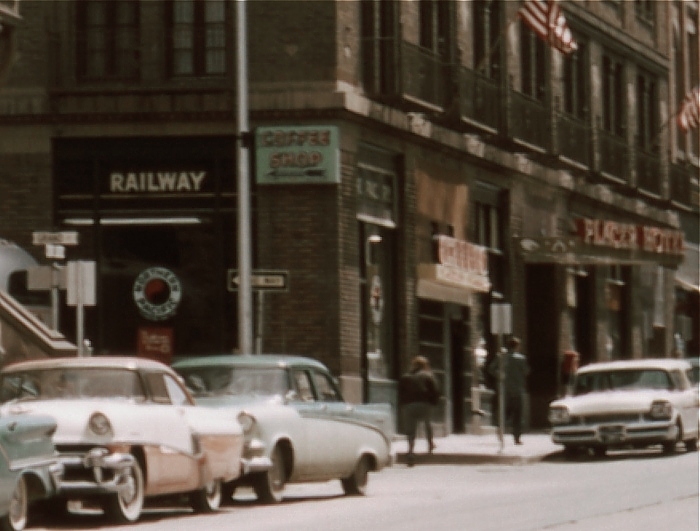 Urban Renewal eliminated Grand Street, along with all its Victorian buildings.